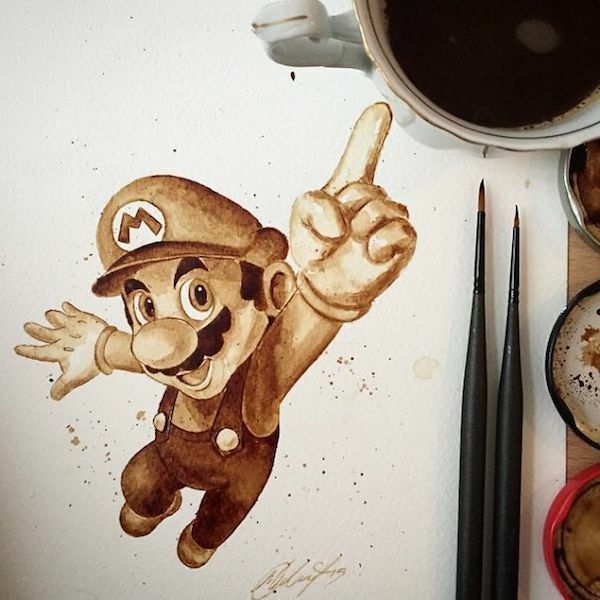 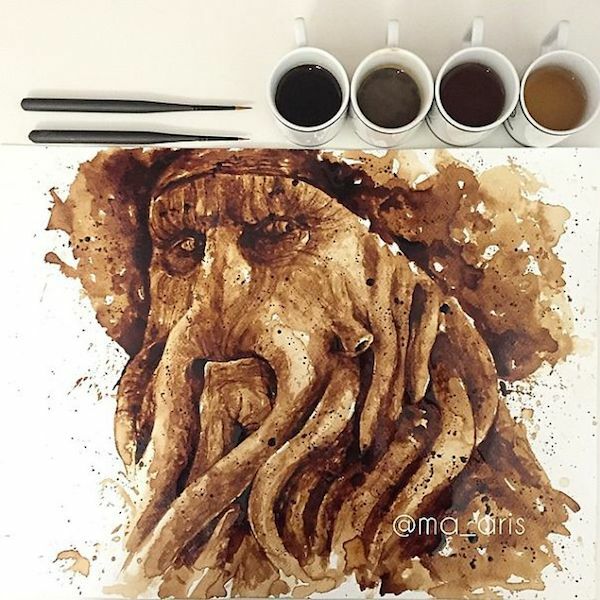 UK artist Maria A. Aristidou has created a collection of impressive paintings using coffee. 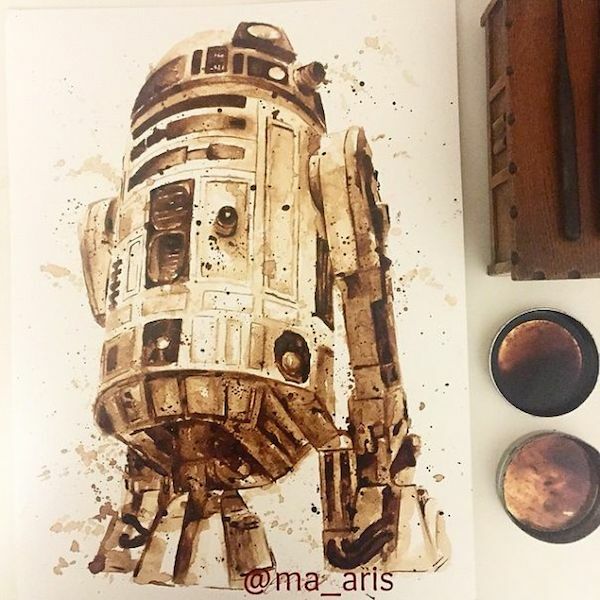 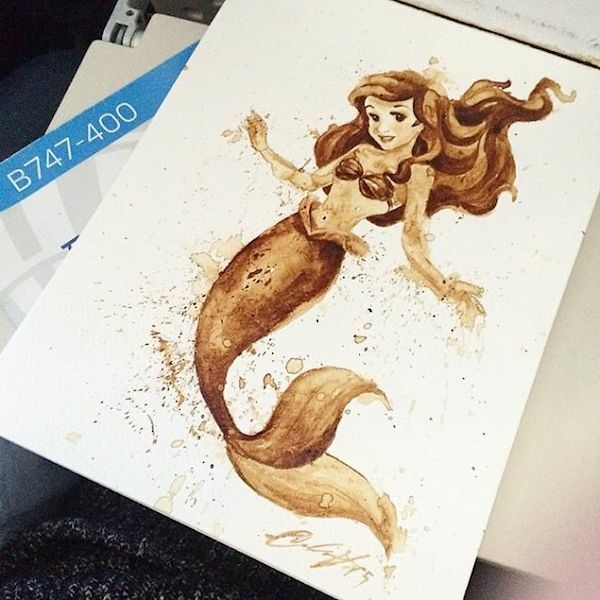 Combining her love for art and coffee, she paints wonderful portraits of her favorite movie and pop culture characters, including R2D2 from Star Wars, Ariel from The Little Mermaid, and Super Mario. 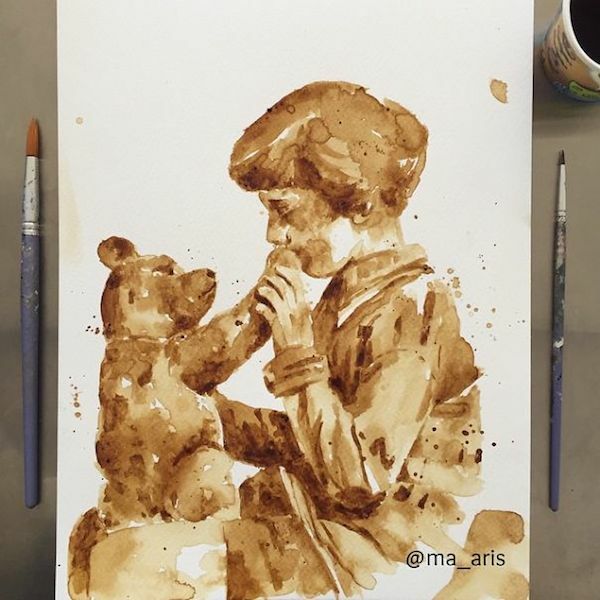 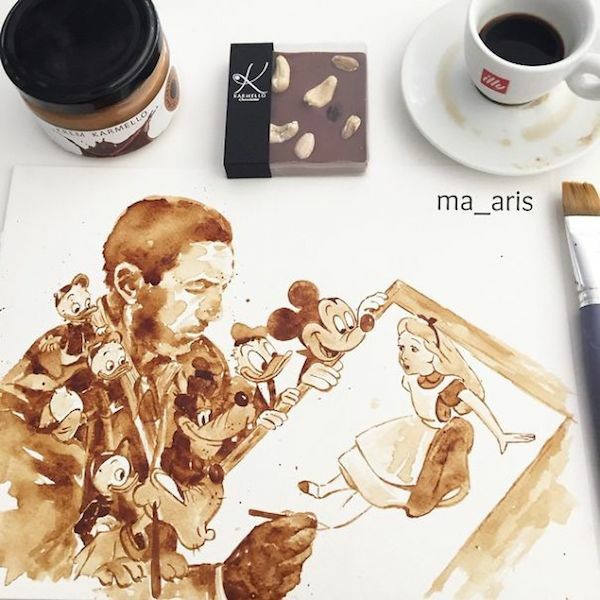 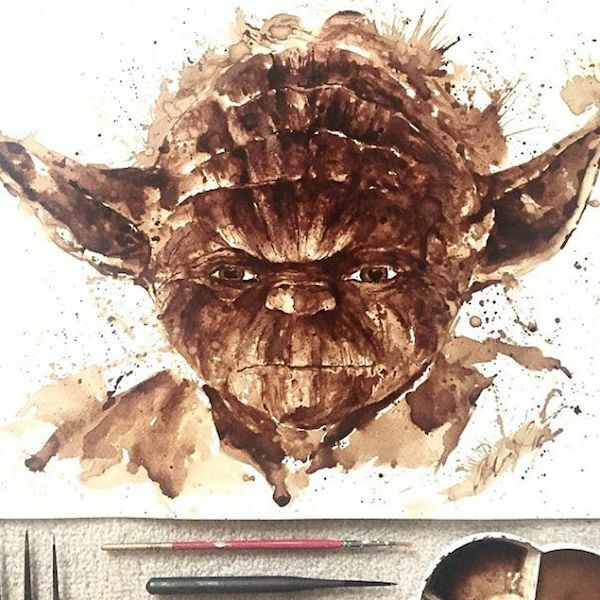 Maria told BoredPanda, that her first painting was made by accident, now she paints in five different coffee blends to create the perfect shade of her subjects. 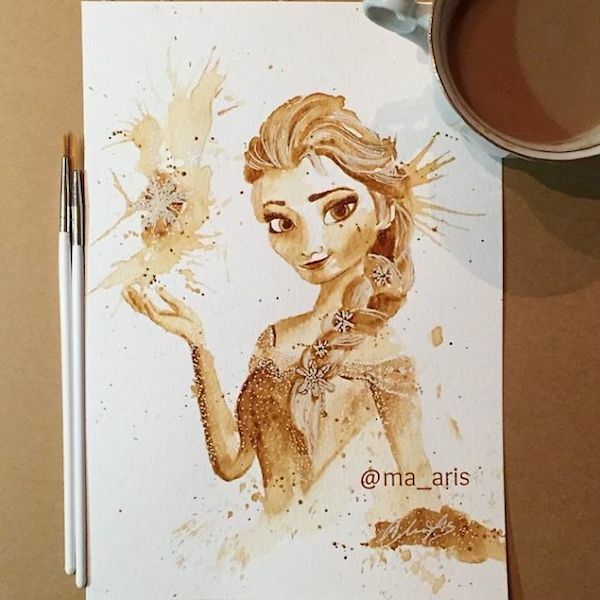 Follow her on her Instagram account for more of her works.